StarDome Portable Planetarium is CIT Blackrock Castle Observatory’s outreach astronomy tool on the road in Ireland in association with ESERO, the European Space Education and Resource Office. 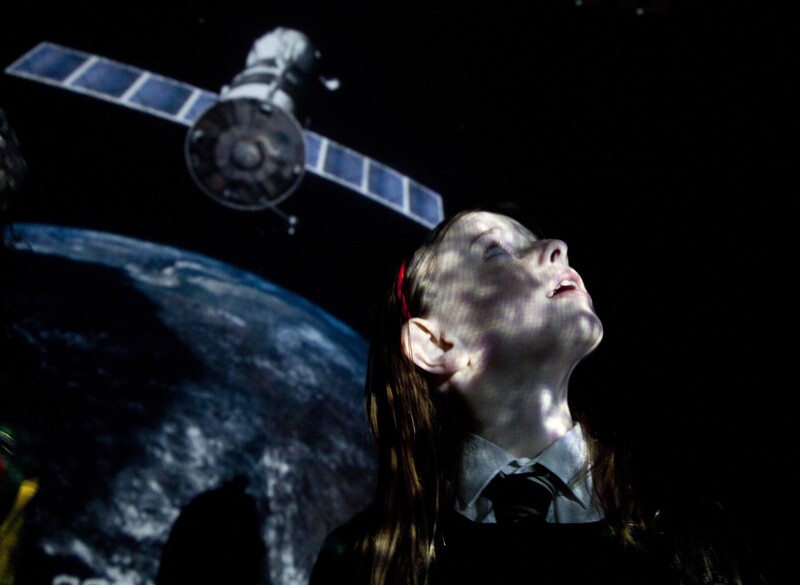 Discover the wonders of the night sky within your own school hall. The dome inflates in an indoor space, 6m by 6m with a 3.5 m height ceiling. Capacity is 30-35 pupils per session, with up to 8 sessions in a school day. Our experienced presenters deliver programs adapted for any age group – from Junior Infants to Leaving Certificate. A visit by StarDome counts as a “Step 1: Science: Invite a Science Speaker to your school” for the DPSM PLAQUE OF STEM EXCELLENCE from the Science Foundation Ireland Discover Science & Maths Award. Explore space travel and the International Space Station: We Choose Space! Call our Education Team on 021 432 6120 to make a booking. Cost is €420 per day at your primary school, €470 per day at your second level school, with an additional charge for travel if more than 60 km from Cork City. “We would like to say an enormous thank you for coming to the school and giving such an inspirational presentation to the pupils. The children had a wonderful time and are still talking about the visit and what they have learned. 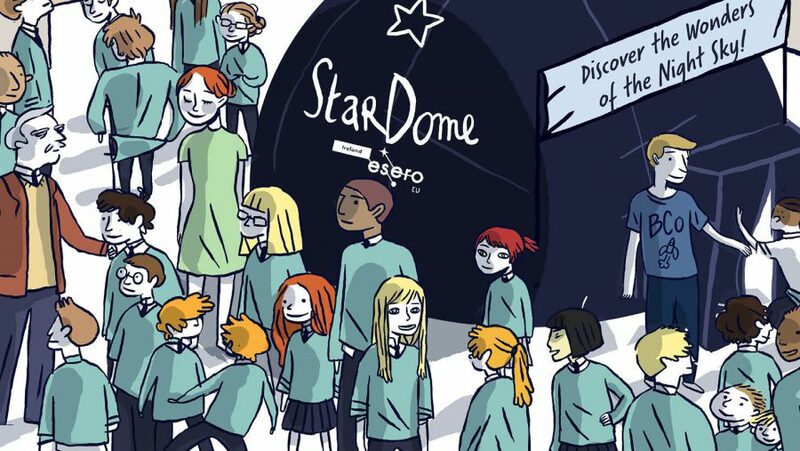 We hope that you have continued success with the StarDome and look forward to seeing you back again at some point in future years.